Villa San Juan is embedded in a residential complex consisting of two buildings encircling a garden courtyard with a swimming pool in the center. The residence on one side of the pool has a large covered porch with potted palms lining its perimeter. Our Bed & Breakfast is housed on the secod level of the building on the other side of the pool. The large center room, the living & dining areas, of the Villa has a 15 foot cathedral ceiling and large glass doors opening out to a spacious covered porch overlooking the courtyard and facing the dawn of day. Mornings here are filled with fresh air, glorious sunlight, birdsong and the occasional dive and dip display of a yellow breasted feathered friend who stops in from time to time to freshen up in our pool. In our kitchen you will find a large refrigerator with ice maker, a microwave oven and a coffee maker. Feel free to use them at your convenience. The interior of our inn is decorated in an airy off white color with accent walls in light pastel hues and rich mahogany detail throughout. Our facilities are intended for your enjoyment, so do indulge and make yourself at home. Our rooms are named for the mood or state of mind that their accent color evokes for us and hopefully you will, in contemplating its significance to us, share in it as well. The room names are in Spanish to reflect our Hispanic roots. Formerly known as British Honduras, Belize is bordered at the north by Mexico and at the west and south by Guatemala. Its population of 303,000 celebrates mixed ethnicity ranging from the native Creole, Maya, Mestizo and Garifuna to the ethnic profiles of migrants from other parts of the world. The economy of Belize is undergoing a process of diversification but currently still maintains a significant reliance on agricultural activities. Belizeans live in a Parliamentary Democracy, and are able to exercise the right to universal suffrage every five years in general elections, to choose members of the House of Representatives. Our Villa’s convenient location in the Cohune Walk residential subdivision of the city of Belmopan, places us within easy reach of the commercial center of the city where you can find the principal government offices, the major commercial banks, the local post office, the magistrate’s court, the bus terminal, an open air market and a number of restaurants and food stands. The best days for shopping at the colorful open air market are Tuesdays and Fridays when fresh fruit and vegetables arrive. Belmopan came into existence in the late 1960’s when subsequent to the devastation caused by hurricane Hattie to the then capital, Belize City, the government decided to build a new capital city further inland to eliminate the higher threats posed to low lying coastal locations during the annual hurricane season. Belmopan is nestled in the foothills of the Maya mountains at an elevation of some 250 ft above sea level. The city is crisscrossed by aquifers that feed into the Belize River and at the same time provide a cooling effect on night time temperatures. In summer daytime temperatures often top 100 degrees Fahrenheit and the temperature fall at night can be as much as 30 degrees. The Philip Goldson International Airport, the principal port of entry for visitors to Belize, is about an hour’s drive from Belmopan. We do recommend hiring a rental car, preferably an SUV, for travelling to Belmopan and within its surrounding areas. There are numerous points of interest that are easily accessible from here. The following are a few. Guanacaste National Park - At the very entrance of the city of Belmopan – Enjoy swimming in the “hot & cold” waters at the confluence of the cool mountain stream, the Roaring Creek, and the warm Belize river all in a forest setting at the junction of the Hummingbird Highway and the Western Highway. 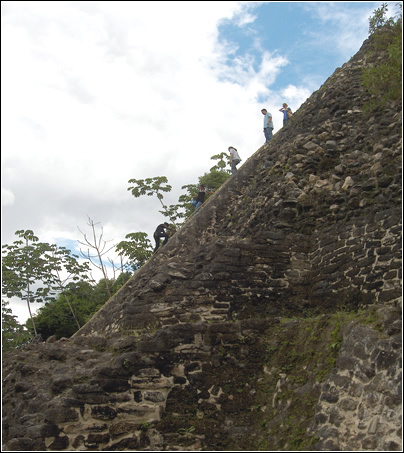 Xunantunich - a major mayan site that provides a panoramic view of the Cayo district. This particular site is located across the River from the village of San Jose Succots, which is close to the Guatemalan Border. 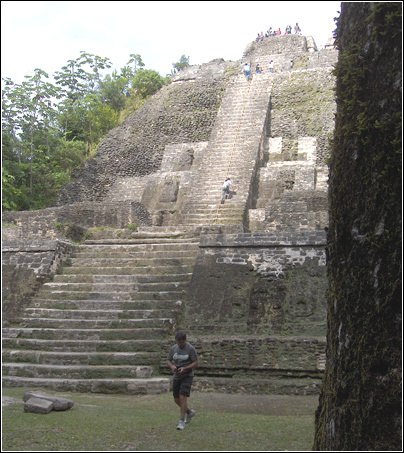 The majestic Ruin “El Castillo” at Xunantunich rises over 130 feet at the south end of the main complex. It bears a remarkable stucco frieze on its east side and dates back to the 700 A.D. Along the way one gets to enjoy a scenic display of our country and the Maya Civilization while passing through the many villages along the Western Highway. This journey takes us to the twin towns of Santa Elena and San Ignacio, then on to the village of San Jose Succots to cross a river via a hand cranked ferry. 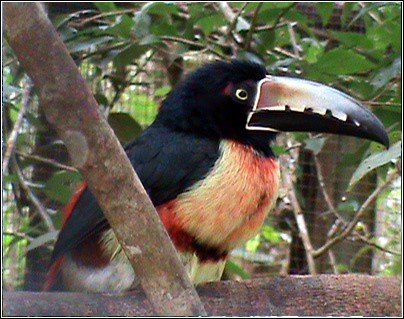 The Belize Zoo - A half hour drive down the Western Highway to the zoo. 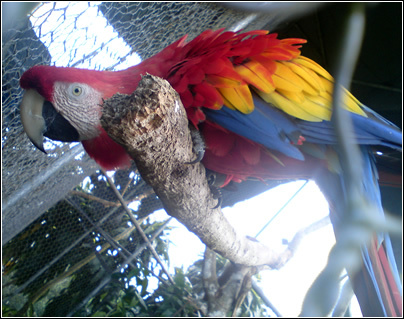 The zoo has many exhibits of our local animals and birds, which are all accommodated in their natural habitats and they are all native to Belize. You can find our national symbols which are: the tapir, the keel billed toucan, the Mahogany Tree and the black orchid flower. Cave Tubing - Enjoy the thrill of floating on an inner tube with a headlamp through our local cave systems whilst viewing the amazing crystalline rock formations. The caves exhibit stalactites and stalagmites, column formations, crystal formations, bats, small waterfall, small rapids and the first entrance to the underworld of the Maya. And if you still have time and energy, try a “Zip Line” aerial adventure, high above the tropical rainforest. Driving Protocol: We drive on the right hand side of the road. Should you be interested in other destinations / adventures, we are happy to provide you with our contacts in the tourism service industry. D' Nest Inn, a Tripadvisor.com top rated Bed and Breakfast, is located in Belama, a quiet residential area on the northern outskirt of Belize City, three miles from the downtown area and seven scenic miles from the International airport.